The Association was formed in November 2005. There had been discussions over many years about the Association having its own banner but the idea had been put on the back burner because of other priorities, e.g. 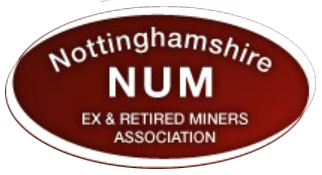 we had to raise money for purchasing and running the photocopier on which the Association produces its quarterly Journal the The Ex Miner. Discussions took off again in 2010. We had received donations from individuals but not enough to buy our own banner. So it was decided, as with the photocopier we would write out to all labour and trade union movement organisations, asking for donations. This was extremely successful and we raised just under £10,000. 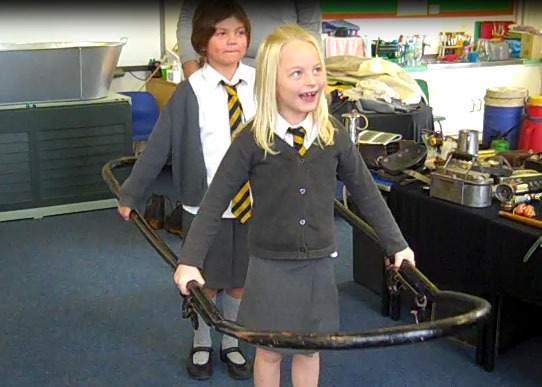 We then advertised in our Journal asking for ideas for the design of our banner, on both sides. We were successful in this and in the end had four designs to choose from. We incorporated all the designs into two compilations, one for each side. 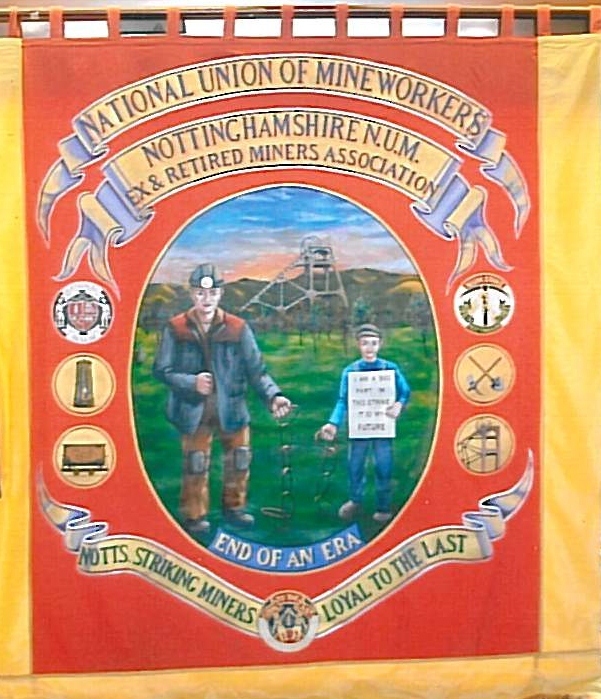 The ‘front’ of the banner shows a miner and his son with a chain broken between them, signifying the chain whereby a son following his father into the coal mine was broken. The boy carries a placard saying, “I am a big part in this strike. It’s my future.” At the bottom it says, ‘End of an Era’. On side two, we have paid tribute to the Women Against Pit Closures with a group of women carrying the banner and one woman pushing a child in a push chair. The banner says, ‘Our Future Jobs Our Lives’ and the placards say, ‘Jobs, Education, Pensions, NHS’ and ‘Protect our Future’. The banner was commissioned from the Durham Banner Makers and had its first outing on the Chesterfield May Day March 2012. This page was added on 06/12/2012. 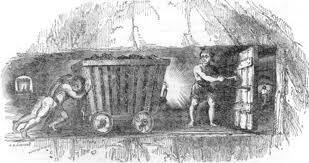 I sometimes forget how hard it was for other miners outside Kent, during the strike and since the strike. 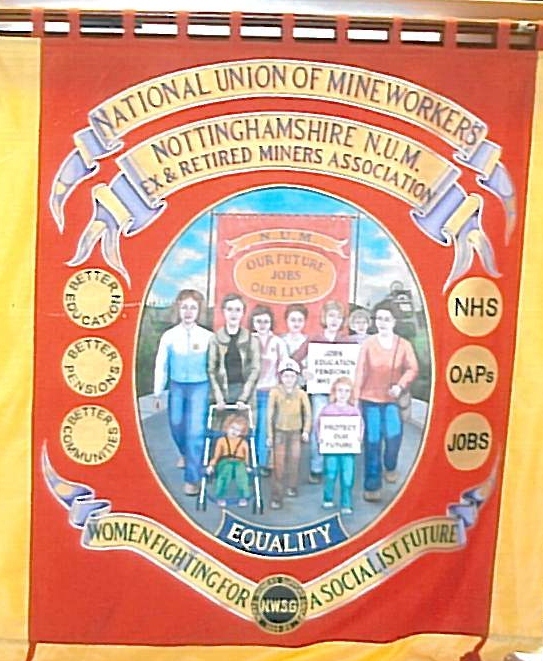 Seeing your Banner reminds me that in many ways, you, the true Notts Miners and their families, had it harder than most. We are all still picking up the piece’s, working to preserve and prolong our Mining Heritage is now the most important thing we can do and we should be doing it together. I love your Banner and am proud to become a member.